Badlands National park! 244,000 acres of portected land. There are many species of animals and plants, as well as the beautiful, sedimentary rock mountains and fertile lands. 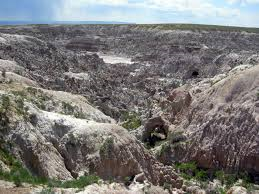 For a long time, around a 11,000 years, the Native Americans have used the Badlands for hunting grounds. The people used to camp in the valleys where there were streams of fresh water. Over the years the streams have eroded many of the valleys. In the end of the 19th century the United States government forced the Native Americans out of most of their territory. 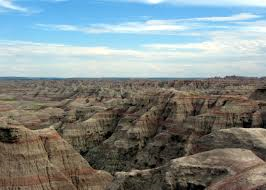 The Native Americans used the Badlands as hunting grounds for a long time, up to 11,000 years, until the United States pushed the Native Americans out of their land and put them into reservations. The rocks used to for the mountains are sedimentary rocks that have taken long to form from layers of rocks, silt, dead plants and animals, ect. the rock valleys and formations were weathered into odd shapes. There are many things to do in Badlands National Park such as hiking trails, camping, biking, and even visiting the Fossil Prep Lab. 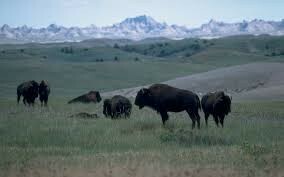 You can see many plant and animals in Badlands National park in their natural habitats. This gives families a chance to bond and see what wild life is really about! The Badlands is a very dry place, especially in between the months of January and March, and October and December. Climate- "Badlandsinfo.com." Badlandsinfocom RSS. N.p., n.d. Web. 28 Apr. 2015. History- "Badlands National Park - National Geographic." National Geographic. N.p., n.d. Web. 28 Apr. 2015. Activities- "Top 12 Things to Do in Badlands National Park, SD: Badlands National Park Attractions." – Find What to Do Today, This Weekend, or in May. N.p., n.d. Web. 28 Apr. 2015.